Dr. Jill Wade has enjoyed utilizing her natural artistic talents to enhance smiles for over 20 years. She and the team at Stonebriar Smile Design practice dental wellness and are pioneers in the profession of dentistry. Dr. Wade leads dental professionals to co-manage patient’s along side medicine. Her passion for the total health approach to patient care inspired her to open a unique facility of like-minded health care professionals that combines medicine, dentistry, and genetics. Relevance Total Health also houses our center for education. She believes that educating professionals must have an online answer to make it more economical and efficient.Jill exchange entire for this one Dr. Jill Wade has enjoyed utilizing her natural artistic talents to enhance smiles for over 20 years. 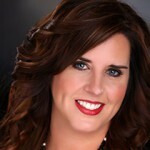 She and the team at Stonebriar Smile Design practice dental wellness and are pioneers in the profession of dentistry.